Dentistry specializing in root canals and the treatment of diseases or injuries that affect the root tips or nerves in your teeth. Specifically, it is the branch of dentistry concerned with the morphology, physiology and pathology of the dental pulp and periradicular tissues. Its practice encompass the basic and clinical sciences, including the biology of the normal pulp, the etiology, diagnosis, prevention and treatment of diseases and injuries of the pulp and associated periradicular conditions. 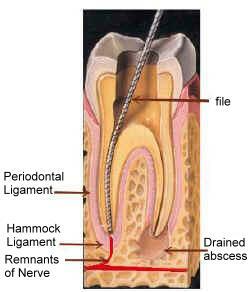 When the soft tissue inside of your tooth becomes inflamed or infected, it can cause severe pain and discomfort. 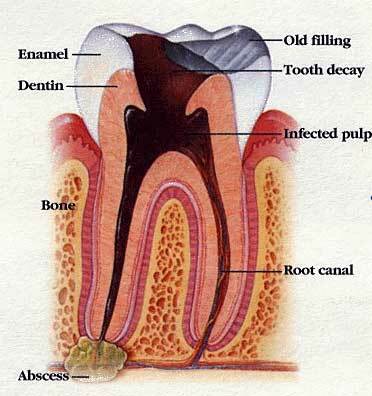 The inflammation or infection can be caused by tooth decay, improper dental procedures, or a cracked or chipped tooth. Pain, prolonged sensitivity to heat or cold, tenderness to touch and chewing, discoloration of the tooth, swelling, drainage and tenderness in the lymph nodes as well as bone and gingival tissues are all signs that you might need an endodontic treatment. When the inner soft tissue of a tooth becomes damaged, inflamed, or infected, then it becomes necessary to remove the tissue in order prevent extraction of the tooth. Once the tissue is removed, it is carefully cleaned, sealed, and crowned in order to protect the tooth and to restore its functionality. These procedures allow you to keep your natural tooth, instead of having more extensive, costly, and unsightly work done to put in false teeth. You can scroll down the lists of dentists below to find the dentist that best suits your endodontic needs.